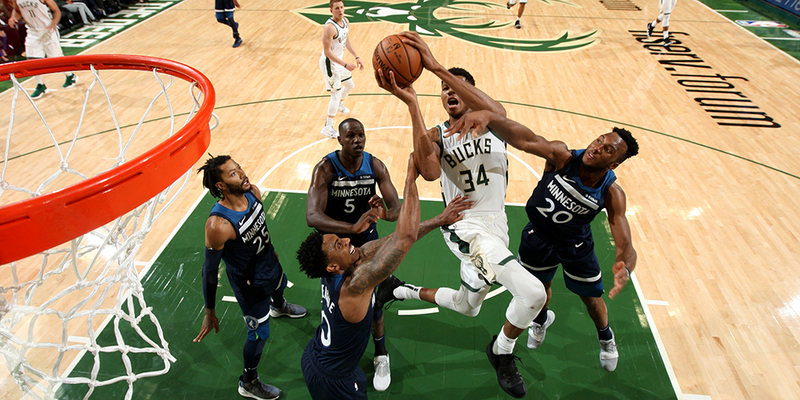 Watch last week's Minnesota-Milwaukee preseason game with me. A new feature where I watch part of a game and point out what I'm seeing, hoping to make it like you're watching the game next to me. In “Watch With Me,” I watch part of a game and choose various clips that I find interesting, detailing what I’m looking at. 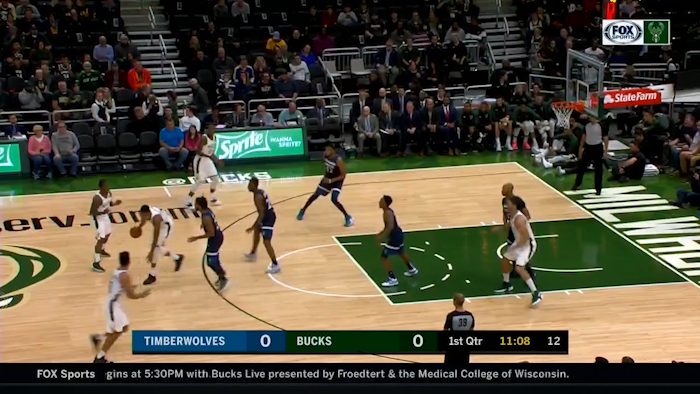 Join me in watching the first three quarters of the Bucks-Timberwolves preseason game from last Friday. This is a new feature I’m trying out. If you like it (or don’t) or have suggestions, please let me know! Either in Discussion or via email. Now imagine if Brook Lopez were in the dunker spot along the baseline and one of the wings was in his corner. There would be much larger gap spacing. Or, better yet, if the ball was moving or players were cutting through, it would also open up gaps and make it hard to stop a Giannis drive. There’s more to spacing than just shooting ability.